The president of the union representing workers locked out of Toronto's Exhibition Place says talks with the venue's board of governors resumed on Saturday — the last weekend the Canadian National Exhibition is running. The International Alliance of Theatrical Stage Employees Local 58 says negotiations will continue after a 12-hour meeting with the board on Thursday. About 400 stagehands and technical employees were locked out on July 20 and the union said the employees have been without a contract since December 2017. The board of Exhibition Place has said it wants to update the locked-out employees' contract to reflect what it called the "highly competitive" marketplace. 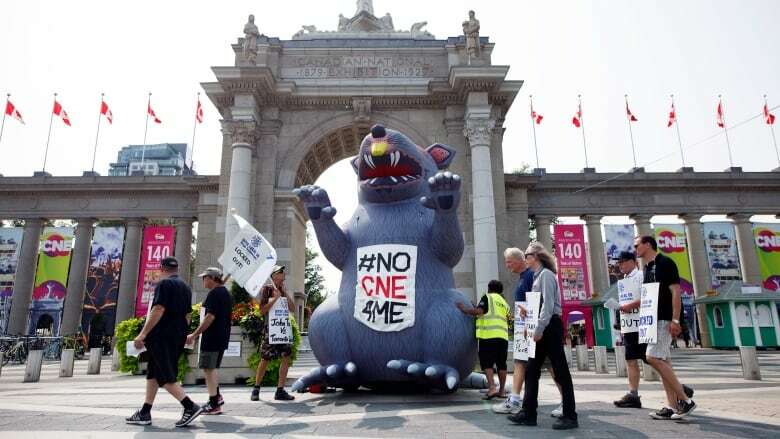 The labour dispute led to picket lines outside the CNE, a popular Toronto fair near the city's waterfront that is running at the venue until Monday. The head of the CNE has said the dispute could result in the fair losing about $1.5 million this year.